The Red Elk Lodge is a secluded and luxurious lakefront lodge. It is located in a peaceful cove with no other homes in sight, and still only 6 miles to the Branson Landing and the 76 strip! Perfect for family reunions and celebrations! This custom built lodge has six deluxe king bedrooms. Every bedroom is equipped with a king size bed and a flat screen TV with a built in DVD player. Intricate wood work abounds throughout the entire home with knotty pine floors, walls, vaulted ceilings, and custom staircase. The dining room has room for everyone (seats 20)! The Red Elk Lodge has very large common areas, great for large gatherings! The great room is open to the dining room and the over the top kitchen. The lodge has something for everyone with free wifi, two HD big screens, blu ray players, HD satellite with DVR, and even board games. The lodge has over 1100 square feet of covered decking overlooking Lake Taneycomo, and a large BBQ grill big enough to cook for everyone! Gather your family and friends around the large stone fire pit and roast marshmallows, or just relax and listen to the gentle flowing water. 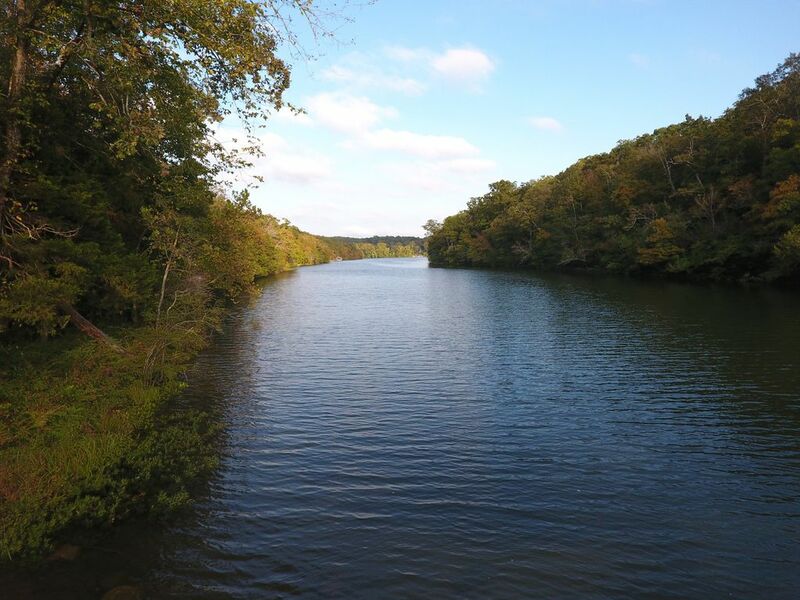 Bring your fishing poles for great trout fishing on beautiful Lake Taneycomo. You can walk down the gentle slope and fish right behind the lodge. Make your next vacation one to remember at The Red Elk Lodge in Branson, Missouri! As advertised. Great location, experience, and lodge! This property was beautiful, clean, and had a Kitchen that was very well equipped/stocked for all of our cooking needs. We would stay again! We enjoyed our weekend here. Great rental for larger groups. Clean with fun décor! Been going to Branson for three holiday seasons. Best property yet. The Lodge was everything we needed and wanted. The great room and dinning room was large enough for our extended family and the kitchen was large enough to have “three cooks” in it. Location was close enough to everything. Will do this Lodge again. Was everything we were looking for and more! The cabin was big enough for our family and that means a lot when you are looking for a place to stay away from home to accommodate everyone. This worked so well for my family! It was so special to be able to be together and have somewhere large enough and comfortable enough for us to relax and enjoy our time together. The only limitation was parking. We had a lot of folks coming and going over the Thanksgiving holiday so engaged my brothers and nephews to valet and turned out not to be an issue. We would definitely consider for the future.